I have been offered some 18 inch wheels for my 2002 W203. They are ET 35 PCD 5x112 with 225/45R18 Tyres. Will they fit? Or will they rub? Have you tried it yet? do not rub? Is that 225/40/18 on the front and back as well? 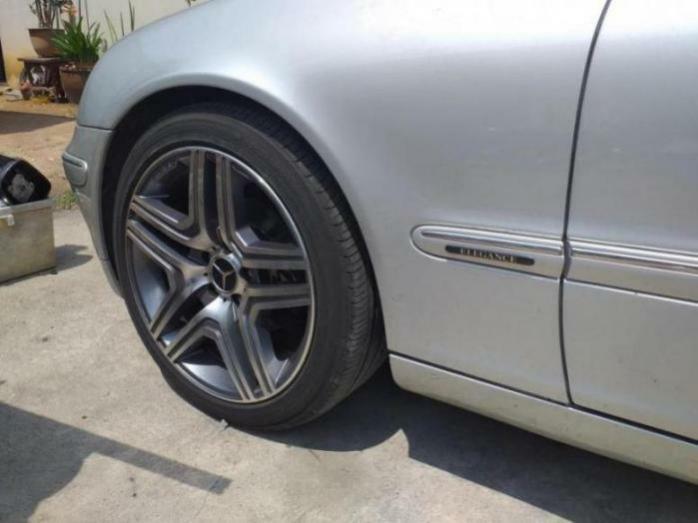 I have also been offered some 18 inch wheels for my W203, (2004 Face-lift model) which has factory 16 inch wheels. If I fit 18 inch wheels, will I have to fit uprated brakes or change any steering or suspension parts. Or is it just change from 16 to 18 inch wheels and leave everything as it in and it will all be alright? They fit fine. You don't need to upgrade anything, provided the off set is suitable for a W203. I had to buy new wheel nuts for the rear wheels. What size tyres have you got on those wheels? How does the car drive with the 18's?